Gift Giving – Home fitness machines make fantastic holiday gifts for loved ones, whether they are a marathon runner or just starting out on their personal fitness journey. Resolutions – The New Year is a great time to make fitness resolutions that will actually stick. An in-home elliptical can help you maintain your enthusiasm through January and into the spring. Weather – While the winter months do contain many times for joy and laughter, they also contain times of bitter coldness and foul weather. This means you may need an indoor option if you want to make progress on your fitness goals. The idea of crushing your workout without having to venture out into a slippery mess of ice and snow is definitely appealing. What New Trends Are We Seeing? We are seeing a real push toward more available technology on many machines. The first place you are going to notice this is the larger displays on a lot of models. These larger displays do serve a purpose, and many brands offer vast libraries of trainer-led workouts and even live sessions with a trainer to keep you moving. To provide additional motivation, you will also find that most models now allow you to wirelessly share your workout data to your device so you can track your progress and post on social media and fitness apps. These technology advancements are also for the purpose of entertainment. Bluetooth speakers allow you to stream your favorite playlists and integrated tablet racks have you queuing up your Netflix when you step on your machine. This year we are also keeping an eye on new machines that are really the first of their kind. Exercise equipment is branching out from the standard treadmills and ellipticals that we have seen for years. New types of machines are entering the market that have your body performing a wider variety of movements and challenging you in new ways. For instance, the Bowflex LateralX LX3 and LX5 incorporate a unique lateral motion to target more small muscles in your hips and legs. Horizon 7.0 AE – Read our full review here. This new model from Horizon is a great addition to their line-up. It’s a real step up from the entry-level machines available from Horizon, but with a price tag of only $899. 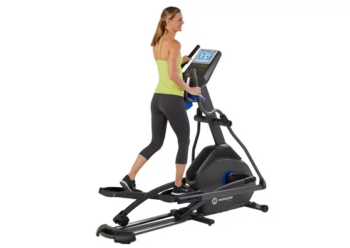 The heavy flywheel, 20 incline levels and advanced Bluetooth technology are features that we have come to expect from premium models costing well over the $1000 mark. This is all in addition to Horizon’s signature Six-Star Frame design. You aren’t going to find a giant touchscreen display on this model, but the real features on this model are going to be found in the construction and performance. Finding these features all combined in the rock solid 194 lb. frame on the Horizon 7.0 AE is a pretty exciting prospect for anyone in the market for a new home elliptical. Read our full review here. ProForm HIIT Trainer – *BEST BUY- Read our full review here. The Proform HIIT Trainer & HIIT Trainer Pro have gotten an upgrade by becoming the SMART versions of their former selves. 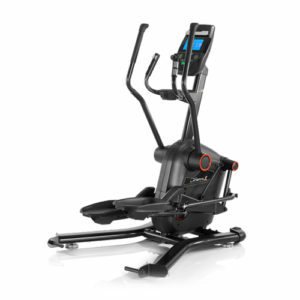 Designed to give you a high intensity workout in a shorter amount of time, the SMART HIIT Trainers utilize both vertical and horizontal motion to combine an elliptical and a stair-stepper in one machine. This design allows you to get a serious workout with virtually no impact to reduce stress on your joints. Both models come with a 1-year iFit Coach membership included, after which it does become a paid subscription. The SMART HIIT Trainer Pro shows one example of the upgraded technology that we mentioned, featuring a 10” HD Touchscreen to put you right in the action. Check out our full SMART HIIT Trainer and SMART HIIT Trainer Pro reviews to see if one of these models is right for you. Brand new to the market, the LateralX machines are really shaking up the way you work out. Designed to provide a different type of motion than a traditional elliptical, it aims to help you “train for real life”. The LateralX machines have your body moving in three directions, which sounds a little overwhelming, but doesn’t have to be. Bowflex LateralX LX3 – Read our full review here. The LateralX machines move your body back & forth, and up & down like an elliptical, but they then add a side to side motion as well. This lateral movement will certainly have you working a wider range of muscles groups and challenging yourself to a greater degree. 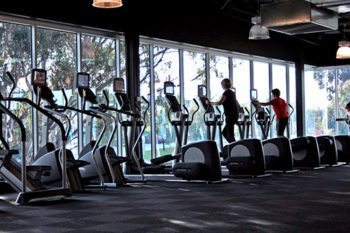 In terms of technology, the LateralX machines come with 30 full-length workout videos to keep you motivated and moving. These videos also include workouts off the machine, like weight training and yoga, for days when you feel like something different. Check out our LX3 and LX5 reviews. Another machine from Bowflex that may have you rethinking a traditional elliptical is the Max Trainer. These are going to be very similar to the Proform SMART HIIT Trainers that we talked about, you can read our comparison to learn more. Bowflex Max Trainer M6 – Read our full review here. 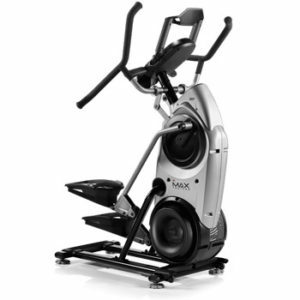 This is another stair-stepper, elliptical hybrid machine that focuses on HIIT workouts. This means that you will be doing intervals of maximum exertion followed by intervals of recovery. This system gets you a more intense workout in a shorter period of time. The new release models of the Max Trainers have some cool new technology features in the form of the Max Intelligence Platform. This platform uses the information from an initial assessment to create workouts tailored to your abilities and needs. As opposed to pre-programmed workouts, you get custom workouts every time you step on the machine. Check out our full review. Don’t get overwhelmed in your search for home fitness equipment. Check out our Best Buys for some tried-and-true options that will suit every need. While you’re there, browse through our Buyer’s Guide and arm yourself with the knowledge you need to make an informed choice.